To begin, your design is very beautiful, the colours black, grey and Red combined very well, but stay tuned because the black is lighter than the conventional, a black-marbled dark. Its appearance resembles the reel Venator GTS, GTO, Uranus Corsa GTO, Lubina GTS, and the Cured, by straight chassis. Comparing with the old Breeze GTO 8000 the largest evolution was the weight, which before was 243 g. is now 198 g. followed by gathering speed, which was 7.1:1 now is 7.3:1, and more internal details, which we will discuss below. The finish is perfect, barely noticeable burrs on the corners of the chassis side covers, and your paint is tough. Another detail is that quick, lubrication cap was removed. She has extra-low profile, which is very low on the stick and smokes in hand at work the decoys and the work of the fish. Let’s open it up and test it. The recoil is 7.3:1 same as informed by the manufacturer, and collected 80 cm. for complete turn on crank, this speed was good for work surface lures such as Helix, or popper, the only bait I had difficulty working was zara, because the speed is too high. but half-water lures, background, softs, jigs, etc., I had no difficulty working, to bait that need a recoil slower and simple job, or the fish was slower, was only decrease the speed of crank, gathering anyway, zara didn’t have good income. According to the manufacturer, are 7 ball bearings and 1 roller, and here they are, leave the reel extremely soft, without any trepidation. The spool is aluminum anodized to prevent corrosion. And the side covers and chassis are in graphite, leaving relatively weak, suitable for small and medium-sized fish. The crank with infinite anti-reverse is extremely efficient, the spool does not have any clearance when turned the crank. The handle measures 9.5 cm. A common size for current cranks, due to weight reduction. The knobs are rubberized anatomical and, for me, the format is good, but are very thin, but nothing that changes the comfort. 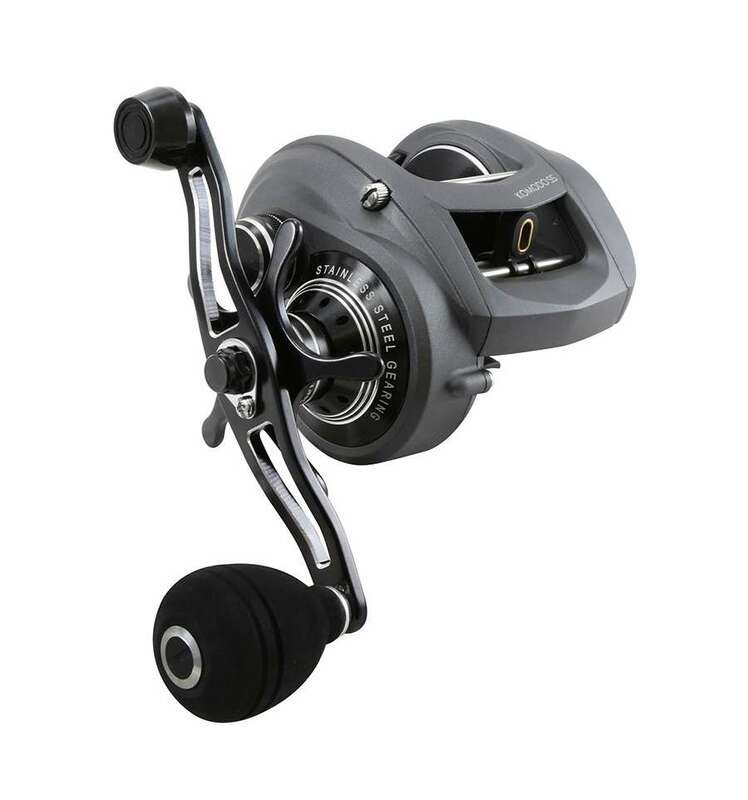 The reel comes with point to point at star-drag and the fine adjustment knob, the star is very efficient for what is proposed, but the fine-tuning, has a certain backlash when it recedes, the magnetic brake, comes with 10 points, with intermediate settings being 27 points total. As in the old model, the reel Breeze GTO comes with the DBS, centrifugal brake, speaking earlier, she came with 6 pins, now comes with 4, found it too bad, affected the performance of the brake. 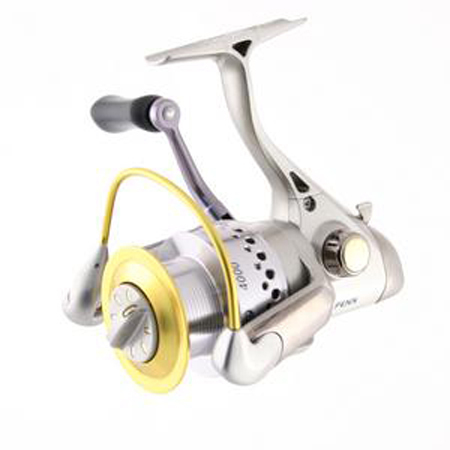 the brake of this reel is very interesting, talking about centrifugal, he with only 2 pins yielded great long shots that require strength, but with pitches “short” without strength and accurate already appeared to ease them wigs cranked up the 4 pins, but the distance was affected. For situations of wind against, only affected the distance of the throw over. As for the great income had magnetic point 5 to 5.5 for short shots without strength and accurate shooting to long which require strength, wigs show up until the last point of the magnetic. wind against situations, nothing has been affected in the short and precise shot. These tests were carried out with 10 to 15 g lures. This has a bigger advantage with lures over 8 g.
The rod used was a Marine Sports quick power Sensor, of 1.55 m, with 0.33 mm monofilament line. The distance of the shot was impressive, up to 41 metres to 25 g. lures and 38 to 35 meters to 10 g lures. Line capacity, was reduced to the extreme, compared to the old model, previously, were 110 meters of 0.37 mm line. Now the capacity of 110 meters went to 0.30 mm lines, virtually forcing the fishermen to use a low diameter multifilament. now a zoom for greater viewing. Now, we will see this reel inside, and analyze its parts. To remove the side cover is necessary to pull the PIN out and turn the cover up. One of the details that will please many fishermen is that the bearing of fine-tuning was placed in this model, which at Spool Breeze GTO 8000 had a previous to the envés of the bearing. The brake discs are made of asbestos and the Crown is support, and those who make pressure on asbestos is made of stainless steel. Line guide made in ceramics, the old model was titanium. Locking system and unlock the spool, reinforced with metal. Pinion support reinforced with stainless steel, it’s practically mandatory for reels of high recoil, to avoid the friction of the pinion with the piece. So that’s it folks, until the next tip, in case of doubts and suggestions leave us comments.